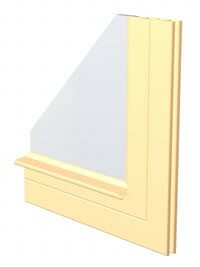 The Inside Removable Series offer several benefits over old storm windows. Low profile frame (2 1/8” wide) around the outside perimeter— only projects 7/16” deep. Tempered, Laminated, Low E, Plexiglas, Lexan and more. Panels conveniently remove to the inside of the home for cleaning or interchanging them with the optional screen panels available using standard clear clips. Primarily used on inswing casement windows. the bottom or lower panel is removable to the inside through existing. Primarily used on double hung windows where both prime windows operate .